Amazon might not be releasing any interesting details about Kindle Store sales in 2013, but luckily for us Rakuten is more generous. This international retail conglomerate held their annual stockholders meeting on Friday, and they released a few details about Kobo. Rakuten bought Kobo in late 2011, and while they've always been somewhat cagey about financial details they have in the past shared a few nuggets of info. For example, in their 2012 annual report Rakuten told us that Kobo revenues were up 143%, and that at the end of 2012 Kobo had 12 million users. 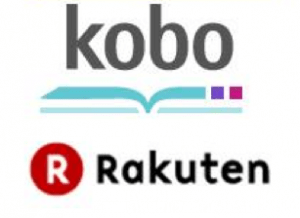 On Friday Rakuten revealed that Kobo's Q4 content revenues were up 44% over 2012. They also shared that Kobo now has 18 million users. This we already knew from the news a couple weeks ago about longtime Rakuten exec Takahito Aiki taking over as CEO of Kobo, but it is good to have confirmation that the stat is current. The 2013 year end stats may not have been as impressive as what Kobo shared in 2012, but they're still a sign that Kobo is seeing enough growth that they want to boast about it. That's better than what Amazon has seen fit to share. And that's not all Rakuten shared with us on Friday; they also revealed why Takahito Aiki stepped in as CEO of Kobo earlier this month. I speculated at the time that Aiki was brought in because he was Japanese and because he had experiencing in running a not too dissimilar international company, but it turns out that Rakuten had a more specific purpose in mind. The tl;dr version is that Mr. Aiki is viewed as a turnaround specialist. He previously ran Fusion Inc, one of Rakuten's telecom subs, but we knew that from the press release. What we didn't know at the time (no one reported it, so far as I can tell) was that Fusion was a money pit when it was acquired by Rakuten, but by the time Mr Aiki left it had generated over 1 and a half billion yen a year in operating income (aka operating profit) in 2012, and 1.9 billion yen in the first 9 months of 2013. That's only about $19 million dollars, which is chump change to Rakuten. It's probably even chump change compared to what Kobo generates in term of revenue, but if Mr. Aiki can have a similar effect on Kobo it's potentially very good news for Kobo's customers (as well as anyone who hates Amazon's dominance of the ebook market). Kobo is believed to have a negligible share of the US ebook market, but they've always said that they had an international focus and as you can see from the year end stats that focus has continued to pay off. Can you name another ebook vendor who can boast of similar growth? With Mr Aiki at the helm, Kobo's healthy growth rate has an excellent chance of continuing. The missing puzzle piece for Kobo is fixing the Kobo bookstore. Search is awful and searching from your Kobo Aura, Touch, Glo, is even worse. I usually have to know, exactly, what I’m looking for when I enter the website, unlike the Kindle store. Just one of many missing pieces of the puzzle, Patrick. The feed-through to the partners stores is diabolical. While some – National Book Store in the Philippines and Livraria Cultura in Brazil – seem to manage fine, for stores like PaperPlus and Whitcoulls in New Zealand and Angus & Robertson, Bookworld and Collins in Australia are a farce. Then there’s the small matter of very questionable content still finding its way into the Kobo store and Kobo partner stores despite the safeguards supposedly put in place. I noticed that, here in Canada, when Kobo first launched. It all came down to digital rights, or so I was told, and since then it’s been fine, as far as that’s concerned. I just know that when I’m on my Aura and I tap ‘new releases’ it’s been showing the same new releases for the past three months.